My animal career started in Vancouver BC in 2010 when I took a Veterinary Office Assistant course which introduced to the wonderful world of veterinary medicine. When I moved back to Ontario in 2013, I decided that I wanted to further my career and knowledge and completed the Veterinary Technician course at Ridgetown College. I have a passion for emergency medicine and have worked in two emergency hospitals in London and Oakville for over 4 years. Hollybank/Avonlea welcomed me into their family at the beginning of 2018. 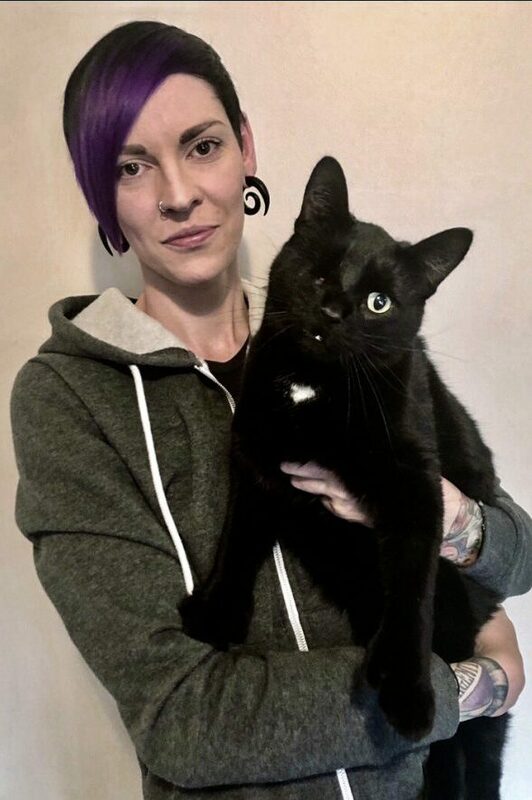 I’m a borderline crazy cat lady as I have 4 cats at home, whose names are Vincent, Lady, Snake and Pirate (Who is in the picture with me). I also have a feisty beta fish named Mulder. Outside of work, I am a huge movie collector, tea consumer and gardener.